Ever thought about a visitor attraction where one moment you’re scuba diving metres underwater and the next you’re simulating a skydive? 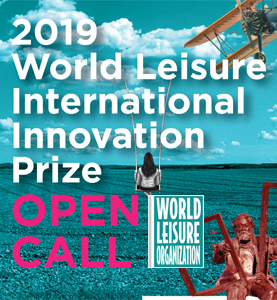 Celebrity survivalist Bear Grylls – who’s famous for starring in TV shows where he’s stranded far from anywhere and must make his way back to civilisation – is partnering with Merlin Entertainments on an attraction concept to “bring adventure to millions”. 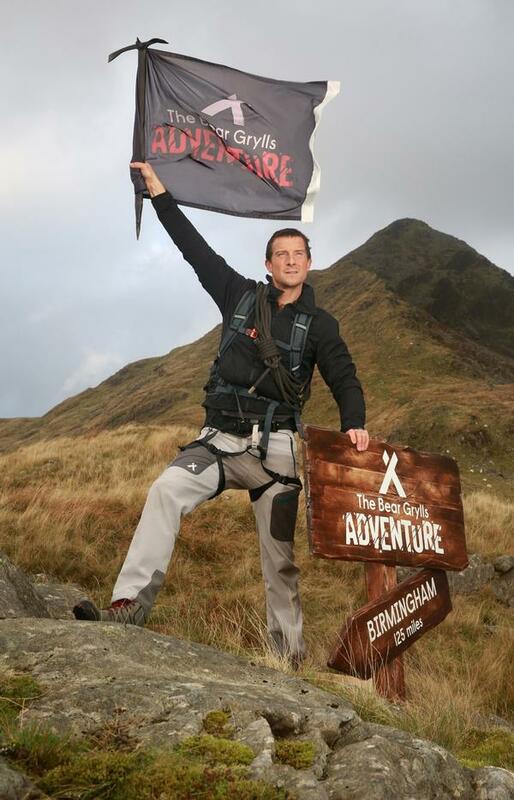 Bear Grylls Adventure will be split into five zones, each offering a different set of activities based on high-adrenaline experiences and inspired by Grylls’ past expeditions, such as scaling Everest, traversing deserts and jungles, and training as an SAS reservist. 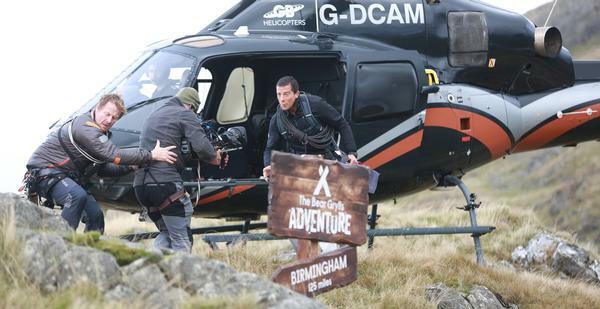 Targeting the burgeoning adventure-based experiences market, the first £20m Bear Grylls Adventure will be located at the Birmingham National Exhibition Centre (NEC) in the UK, and cover an 8,000sqm area. The Merlin Magic Making team is theming the attraction as an immersive wilderness, made all the more convincing by the addition of a real-life Chinook helicopter, light aircraft, army vehicles and Grylls’ own survival equipment. “I wanted to create a large-scale attraction so you don’t have to travel the world to get a real taste of adventure,” says Grylls. “The adventure park is all based on experiences that have shaped my life, pushed me to my limits and so often taken me far out of my comfort zone. 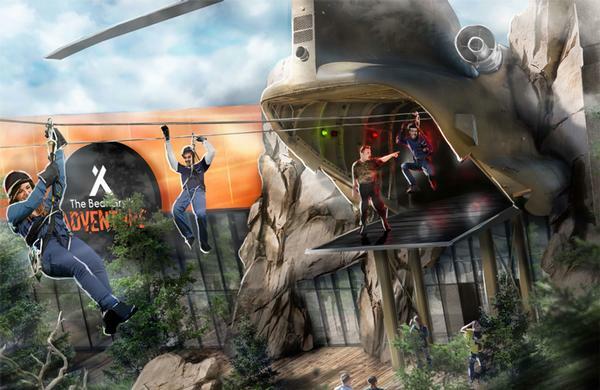 The attraction will be staffed by trained “adrenaline advisors” and split up into five areas – Dive, Fly, Climb, High Ropes and Basecamp – and it’s going to be hands-on. In the Dive zone, professional divers lead an underwater experience in a 886-cubic-metre tank. Guests do not need any previous experience and can choose between snorkelling or scuba diving, with equipment provided. “Underwater adventures can be the most exciting. The key is being calm under pressure and prepared for the unexpected,” says Grylls. In the Fly zone, trained experts teach skydiving skills inside a giant wind tunnel, with the chance to experience a freefall three times as long as an average skydive. The High Ropes section sees visitors zipline from the Chinook before taking on a multi-level ropes course, billed as military standard and “the toughest in Europe”. Lastly, Basecamp is the heart of the attraction, made up of four mental, physical, group and individual challenges designed to teach the core skills needed for survival in the wild. Look out for an escape room and face-your-fears challenge. Merlin expects to then take the product overseas in a major rollout and has an exclusive deal with Bear Grylls Ventures until 2026, which could be extended as new Bear Grylls attractions open worldwide.